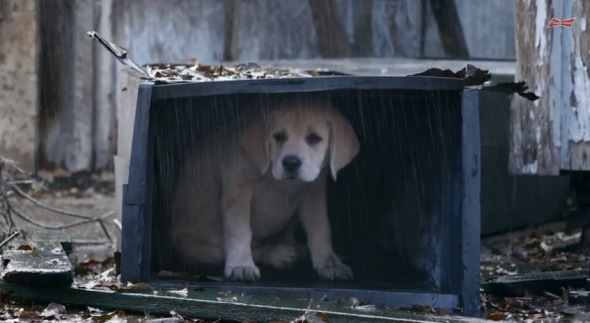 Budweiser “Lost Dog” and GoDaddy “Journey Home”: Super Bowl ads love puppies. People love puppies, but not so much puppy parodies, it seems. That’s what Web-hosting company GoDaddy is learning the hard way after facing intense outrage over a 30-second ad spot it had planned to run during the Super Bowl. The commercial, “Journey Home,” appears to satirize the “Lost Dog” ad Budweiser released this morning. In Budweiser’s minute-long spot, a puppy accidentally hops into a trailer and is dropped off somewhere far from home. As the owner searches for his dog, the puppy runs across muddy fields and is stared down by a wolf (yeah, it’s kind of random) before being rescued by a troop of heroic Clydesdales, while a melancholy cover of “I’m Gonna Be (500 Miles)” plays in the background. Needless to say, animal rights activists didn’t exactly see the humor in this. “Do you think puppy mills are funny?” the SPCA for Monterey County tweeted, adding, “If you can buy a puppy online and have it shipped to you the next day, it’s likely you’re supporting inhumane breeding.” By Tuesday evening, GoDaddy was backpedaling. Its chief executive tweeted that the company “clearly missed the mark” with its efforts and would not air the ad after all. 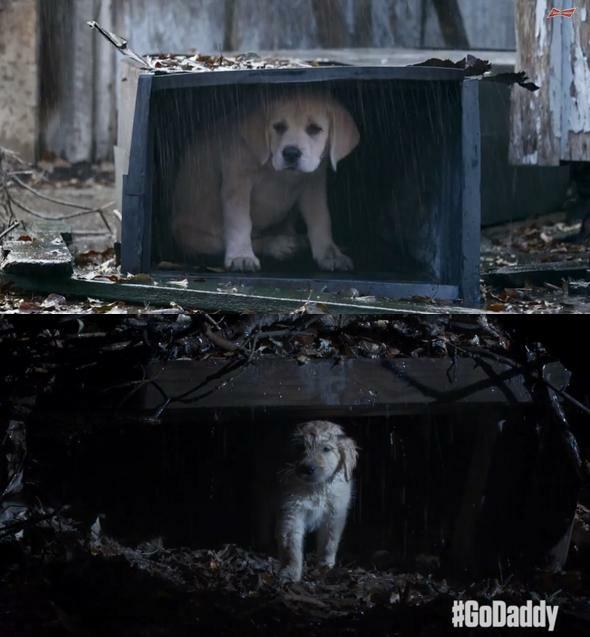 In a slightly longer message posted on GoDaddy’s website, he added that GoDaddy had “underestimated the emotional response” to its puppy ad and would still have other commercials appear during the Super Bowl. The first one is from Budweiser’s ad. The second is from GoDaddy’s. As I said earlier, GoDaddy’s spot came out a full day before Budweiser’s did, and they clearly both took some time to shoot. 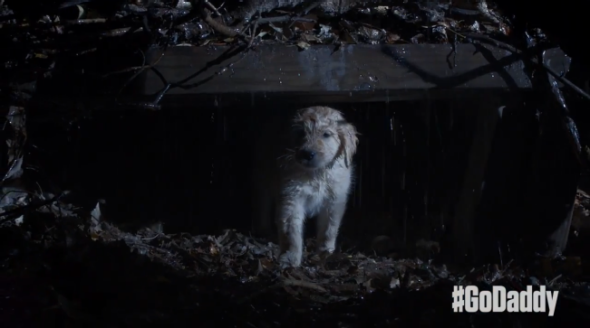 It’s possible that GoDaddy and its ad agency, Barton F. Graf, got very lucky in guessing what adventures would befall Budweiser’s puppy in this year’s ad from Jake Scott and RSA Films. But looking at how closely those two shots align, it also seems like GoDaddy might have had a heads up on at least some of what was coming in Budweiser’s commercial. Budweiser filmed its spot in December 2014 and in early January quietly announced that the concept for the ad would involve a puppy getting lost. On Jan. 21, the company released three animated GIFs from the spot, one of which showed the puppy cowering in a box in the rain. Neither GoDaddy nor Barton F. Graf responded to multiple requests for comment. On a slightly separate note, it’s kind of ironic that GoDaddy is taking so much flack for its attempt at satire—with puppies!—when the company is notorious for much sleazier Super Bowl ads. In late 2013, GoDaddy said it had matured and promised to change its advertising ways. When this year’s concepts rolled around, it probably thought puppies must be a safe bet. Apparently not.